My daughter Natalie was already a HUGE fan of Build-A-Bear...her favorite creation being the Phillie Phanatic she made at a Phillies game (yes, they had a store right in the stadium so we couldn't resist). Check out the sweatsuit/hoodie complete the Wildcats logo. Pictures can't show you how cuddly this bear is too. Very huggable! Back view of the hoodie with the "East High Wildcats" logo. Take a close look around the bear's neck. Yes, it's an actual High School Musical dog tag necklace! 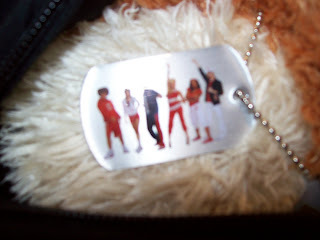 The backside of the dog tag necklace has the cast of the show. Even the paws are adorable! She can even go online with the code on the bear's birth certificate and play with her bear in BuildABearVille. 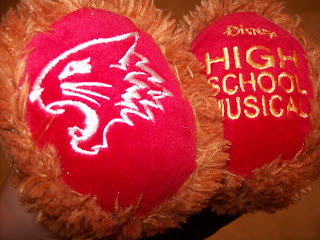 Click here to see a Flickr gallery filled with tons of High School Musical bear photos. My family and I were recently in New York and Natalie begged and pleaded to go to the Build-A-Bear store there (which is the biggest Build-A-Bear workshop in the world!) to make a Statue of Liberty bear but we ran out of time. I almost cried with her. But we promised her it will be one of the first places we go when we go back to NY. Here is your chance to win a $25 gift card (Bear Buck$) for the child in your life to use at any Build-A-Bear shop or on BuildABear.com! To enter, simply leave a comment here letting me know what catches your eye at BuildABear.com. Please make sure I can find your email address or I will have to choose another winner. 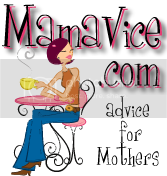 For an extra entry, link to this post on your blog and then leave a separate comment here with the link. Deadline to enter is 11:59 p.m. EST, Saturday, August 16. Winner has two weeks from the time of notification to claim their prize, or the prize will be forfeited. Contest open to U.S. and Canadian residents only. I am not responsible for prizes lost by the postal service. Thank you so much for this giveaway. My son has been begging me for a Build a Bear ever since one of his friends got one. I'd have to say since he loves baseball and the NY yankees, that the NY Yankees Bear would be our pick. It's so hard to choose, but I'd like the World Wildlife Fund Cheetah. something at the build a bear workshop website that catches my eye is the beary limited editions white tiger. I love the Tropical Hello Kitty® by Sanrio®. The black lab was so adorable and all of the accesories like the bed and dog house and roller skates. My kids would love it! They have the cutest zebra plush animal. I would just love to surprize my daughter for her birthday with one. I would love to have the Koala. It is really not a bear, haveing been to Australia, it would be a great thing to look at and remember my trip there. My daughters love High School Musical, so we would definitely love to get that one. I love the college team and cheerleading costumes! Thanks for a great contest! My 7 year old daughter already has this all planned out! She wants the 18 in. Fru Fru Poodle dressed in the Hannah Montana 2 pc. outfit. I love that they are carrying HSM and Hannah Montana items. I would get the Husky, its just adorable. 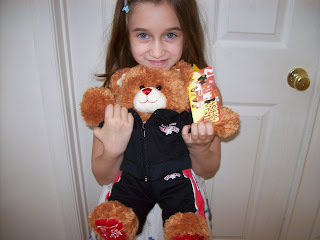 Well, I was going to say my favorite would be the HS Musical Teddy for my little girl who is a huge fan. Then I saw the Amethyst Teddy, which would be her birthstone color, and I thought that would be it. But now I think the U.S. Patriotic Bear would be my choice for my little patriot. She loves anything related to the red, white, and blue. I am so surprised at how many choices they offer. I really like lots of them, but I would choose the Magnificent Monkey! I like the 2-piece Pirate PJs for my son's bear! Wow, there are so many new things since the last time I went there. I need the Hearts Fur You Puppy.. it's soooo cute! Shop by Occasion...will definitely get the bride and groom for my sister and future hubby...thanks for great contest! The cuddly Koala caught my eye! So cute! My nephew would love this! What catches my eye is the Pink Hearts Teddy! My little girl has been wanted that Hello Kitty for a long time maybe we can get it if we win. What caught my eye is the Pirate Boy Dimples Teddy. My daughter would LOVE it! My kiddo is wanting a Hannah MOntanna doll, I have kept telling wait till her birthday but If I win I am sure we could splurge just this once. The different ways you can make your Build-A-Bear. Nobodys comes out with the exact same one. Thanx for the contest. My daughter loves Build-A-Bear Workshop! She has the panda. My favorite are the Limited Too outfits! I love the new Hello Kitty stuffed animal at Build a Bear! My daughter would love the "to the tee pawfect pink leopard." She loves to golf with her dad!! "Hit the Road Bearamy" is just hilariously priceless!! Love him! I wanted the Fourth of July bear since that is my birthday. I like the 16" border collie. It looks like my friends' dogs. 18 in. Pawfect Pink Leopard is my favorite. I like the Witch Read Teddy. My daughter would love the Snow White Outfit. Thanks for the chance. I like the little furry white tiger. This would be a perfect way for my 5 year old and I to spend an afternoon! She's never done build-a-bear before (and neither have I)! My daughter would love to make a Hearts Fur You puppy. Love the Hello Kitty ones they have! we have three boys that love build a bear and spend a fortune there! They are all wanting the high school musical bear and the new t rex. We love Build a Bear. With a daughter who is also a big elephnant lover, the Adorable Elephant (16in) catches my eye! They're all adorable, but the groundhogs are really, really cute! Thanks for the contest! What catches my eye lately at the Build a Bear store is that new cute money they have. Last Christmas it was Rudolph and Clarice, I just love them too ! I like that they have different outfits for your bear to wear. I love the 16 in. World Wildlife Fund Cheetah. It is so cute. 15 in. asthma friendly® Velvet Bear looks awesome! Thanksgiving Bear is cute but I also love all the adorable outfits. I'd love the White Tiger..I suppose my daughter would let me borrow it. The groundhogs!! My husband and I love them (the real ones) and he actually made me a stuffed one for Groundhog Day! I love the asthma friendly dog! Very cute! 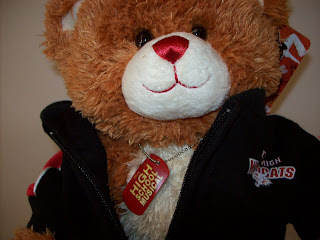 the high school musical build a bear. Purple is one of my favorites and I love Nikki's Bear III:) *Thanks* for the giveaway! The White Tiger is for sure and eye-catcher!! Can't miss the T-Rex for my older daughter. She would love that! There is a pink kitty my daughter just HAS to have! Thanks for the great contest! The ARMY HERO CUDDLY BEAR is what we would like... My husband is getting ready to be deployed and I am expecting... We want one so that our baby can still hear his voice while he is gone! Thanks for the heads up! We're thinking of having her bday party there. The New England patriots bear!! I love the all the sports related outfits-- the cheerleader uniforms are SO cute!! The 18 in. Pink Poodle caught my eye! I've never been able to afford to take my little girl here to take a bear home~ this would make her year! Floppy Moose sure caught my eye. Got to love the Magnificent Monkey. He's just too cute! My girls love Build-a-Bear! When we go, they always walk in with an idea of what they want, and by the time we leave....they've changed their minds a dozen times and walk out with something completely different. So many different choices to spark children's imagination! love any of the Hannah Montana outfits! I'd love to build a Lakers bear, that would be the greatest bear ever built. I like the college team outfits. I like the magnificent monkey! I thought about this and thought about this... but the one thing that catches my eye at buld-a-bear is the way my son looks at these bears :) I know you said go to the website and pick something out that catches your eye, but really, that would be up to my son. He just glows everytime he walks into that place and one day I'm going to take him in and actually be able to afford to buy one of those darn bears, lol. Let's hope it is before he gets too old and doesn't want a bear anymore, LOL. We love all the accessories you can get for your bears - It takes my girls forever to pick out outfits and matching accesories. We love Pirate Girl Read Teddy. It is so cute!! 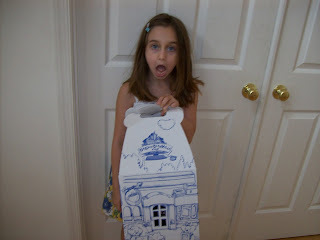 My kids want to go make one this weekend! I LOVED the pink/rainbow accent bunny plush, but it's no longer available. I would buy it on eBay and then use the Gift Card for all the clothes and acessories! I really love the tropical Hello Kitty. That is adorable. Thank you for the great contest! I like the pawfect pink leopard. Thanks for the giveaway!! My girls would love a Build-a-Bear. omg the little olympic swimmer bear is CUTE! I would love the Surfin' Cutie Tropical Hello Kitty! I love the Magnificent Monkey. I love the Adorable Elephant and the Floppy Moose!! My son would love to do this! Thanks for the contest! I love the Bearemy's Dog...the Boxer is adorable! My son would LOVE it! My daughter is into dogs right now so the Scruffy Puppy would be GREAT and of course some cool accessories to go with him!! I love the Hearts Fur You Puppy! My daughter would definitely want the turtle -- turtles are favorite around here! My son is obsessed with animals and he has been calling himself a cheetah for months.. so I would say the cheetah for me! Thanks for the chance to win! Aww, I like the groundhog plushies! Hello Kitty, my dauther loves her! I love build a bear! I've taken my lil sister there twice for her b-days. I love all the dogs they have, expectually the "scruffy puppy" my sister wants that next time since she has a real dog named scruffy, and it almost looks the same lol. My son has spent the summer with his father and I think this would be a great present to give him. i love the "Build-A-Sound®" feature you can get! 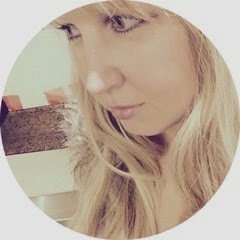 !....So unique!! I like the Sanrio Tropical Hello Kitty. She's so sweet! everything but I would have to say the high school musical bear or Hannana Montana bear cause my daughter loves both. I think they are all adorable, but we'd likely go for Bunny Big Ears. My daughter loves this store and has a nice collection of furry friends. The Pawfect Pink Leopard is cute and really unique. Thanks for the giveaway! The little green turtle is the cutest little thing. My little girl always want to go to build a bear. I was thinking about doing a birthday party for her there this year. Thanks for the contest. Well, I like the scruffy puppy, but if I won it would be my daughters first time there and she would pick what she wants. Oh, The turtle is adorable! my kids love Build a Bear! I love the one your daughter made and it's really cool they have that at the Phillies stadium. I would love to win this for my nephew! He has wanted one for a long time, but his mom doesn't have the money for one! He would probably choose the Los Angeles Dodgers Bear because he is a HUGE Dodgers fan or design his own because he loves dirtbikes so that is another thing he always talks about! The face on the Lil Buttercream Cub is adorable. I would love to dress her up for the sweet little one in my life!!! I love the Baby Boy fur You Curly Teddy, I have never been to a build a bear workshop since my youngest 2 kids at home are 12 and 16, but have heard so many wonderful remarks. I'm in need for a unique gift for my new grandson, this would be ideal as my son and daughter in law could choose what they wanted at build a bear. My son is 27 and still has his very first stuffed animal he got on the day he was born, a winnie the pooh. So my grandson could someday be giving his own child his very first stuffed animal. Thank you for all the time, effort and energy you provide putting these contests together so we can win so awesome and unique prizes. Definitely, Hello Kitty! Love it! The first things to catch my eye in that store are the prices. The second is usually the line. What a store. I'd love to win this because my mom and sister are coming into town from Texas, (I live in Arkansas) and I'd love to take my 11 year old sister to Build-A-Bear so she could make a teddy bear, or something girly that she would love. I love the Pink Hearts Teddy. I would say the monkey for my little monkeys' at home, but all three are HUGE HSM fans and I know they would love that too! I like the bride and groom bear set. They're really cute. Since I'm the grandmother of two little girls, I'm only acquainted with Build A Bear products through them. I loved the website, and what was very appealing to me was that not only bears are available to be made, but cats, turtles, alligators and more! Love the clothes too! I like the new Hello Kitty line. The Westie is the one we love! Thanks for the opportunity to participate in this fun giveaway! Oh my goodness the costumes are too cute as are the formal wear, especially the bride (gotta get my son's monkey a girl so she can be a bride! haha)- thanks for the cool giveaway! I love all of the different accessories. The gold medal is too cute. Go USA! What catches my eye at Build a Bear is the smile on every childs face. The laughter is almost like a stress reducer. I could spend hours at the store. My son has been begging me for one of these for a while now. I guess what catches my eye the most about Build A Bear is the number of options it has. It really is almost like a creative outlet for your child. The can dream up almost whatever they want and expree it in their own fashion. The Curly Teddy in Girl We Are Marshall™ Outfit because it would make a great birthday gift for my cousin's daughter. I would love the 17 in Scruffy Puppy. I think he is absolutely adorable!!! Thanks!!! It has to be High School Musical bear. 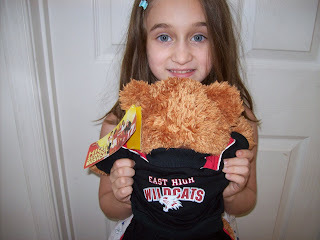 My 7 year old granddaughter loves both Build-a-bear and High School Musical. Because asthma tends to run in our family I really like the Cutie Frog asthma friendly®Velvet Bear. I then add the 6-in-1 Friend sounds. Hello Kitty. We have several, and Ian needs his first, but we're kinda coveting the Hello Kitty. I had no idea you could choose from such a vast collection of clothing and accessories. They have a whole bear universe over there. The outfits for these "pets" are just beautiful and cute! I think the pirate PJs are super cute. I love the military outfits. I have lots of veterans in the family and would love to have my kids have fun and respect the service. 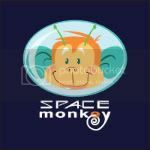 Great giveaway, I love the 46cm Magnificent Monkey, my monkey fanatic daughter would love it! I love the turtle and the moose!! What catches my eye? I absolutely LOVE the SF Giants uniform, that is way too cute! I have a houseful of kids. Now my younger bunch love build a bear too! Tropical Hello Kitty for my daughter! My daughter would love the Hello Kitty doll! She adores Hello Kitty! The 16" Hopeful Wishes Bear caught my eye. I have 2 breast cancer survivors in my family and this would be a great tribute!!! I love them all but the one that stood out today is the Beach Fun kitty! Thank you for the contest! My daughter would love the 17 in. Scruffy Puppy. Fabulous giveaway! My little girl would love the 3 pc. ariel outfit. Thanks so much for the giveaway! The 16 in. World Wildlife Fund Cheetah looks like my cat. I usually go for the hippos and elephants, but then I saw the moose. I'm in love! I love the donation animal lines. I love the 16 inch Hopeful Wishes Teddy! I love the Halloween pirate costume for the bears! I'd love to get some White Faux-Fur Pom Pom Ice Skates. Sweet! We love Build-A-Bear! We started our collection over 7 years ago when we took a trip to San Francisco. We named our first Build-A-Bear Cisco after the city. My daughter has made one build a bear and she loved it so much.